"Treasures of the Southern Sky" celebrates the unique beauty and richness of the southern sky in words and with world-class imagery. 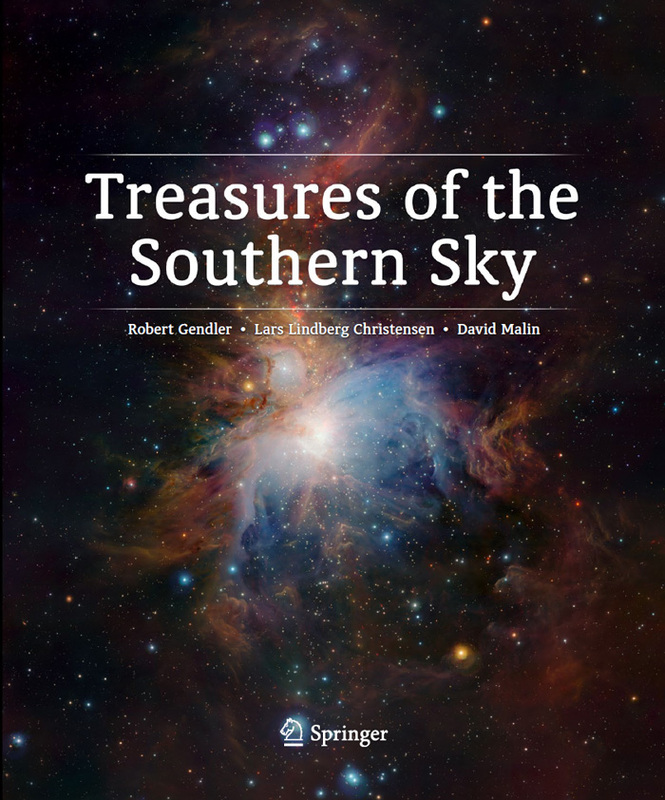 In part, a photographic anthology of deep sky wonders south of the celestial equator, this book also celebrates the human story of southern astronomy with an engaging and detailed history of key contributors to southern sky exploration. Ample and informative text provides the reader with intriguing facts and useful information about the featured objects. This volume, arranged by southern hemisphere season, brings to the printed page many of the most provocative and beautiful astronomical images of our time, many in print for the very first time. The collection of imagery covers a full range of deep sky astronomical objects, from the familiar and iconic to the more obscure but no less intriguing. 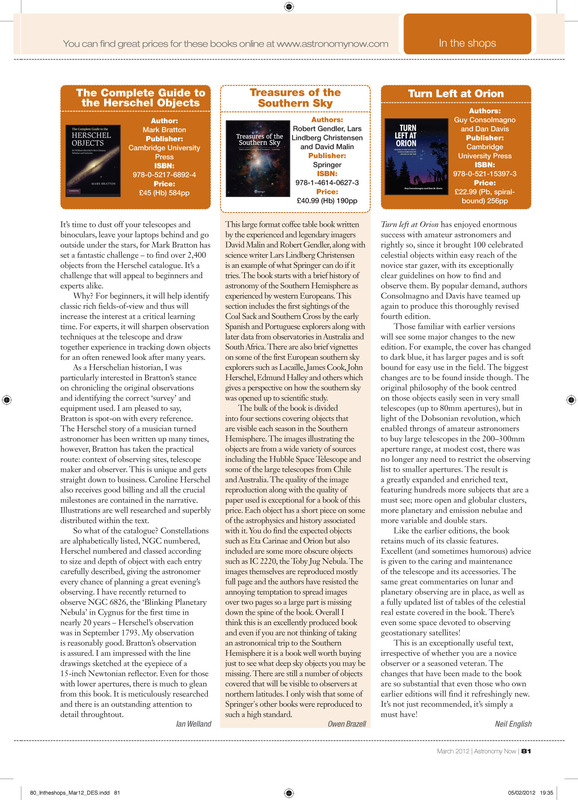 Masterful, state of the art, professional and amateur astrophotography highlights the authors' carefully selected deep sky "treasures". 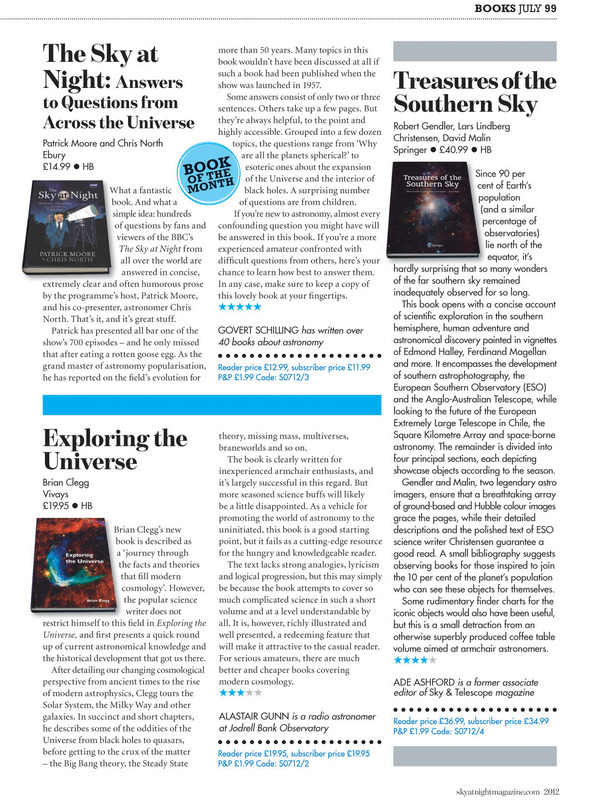 Read a Review of "Treasures of the Southern Sky" in "Astronomy Now"
Read a Review of "Treasures of the Southern Sky" in "Sky at Night"